The steps needed to unlock and use Free Roam in Red Dead Online. If you’ve been working your way through the Red Dead Online beta, you may find yourself wondering how to unlock and use Free Roam. When you first jump into Red Dead Online, you’ll be required to complete a series of objectives before you can take off and explore freely without restriction. Of course, the ability to do this is one of the main draws of Red Dead Online, meaning that you’ll want to unlock and use Free Roam as quickly as possible. Wondering how to do this? We’ve got you covered! Below, we’ve put together a quick guide that’ll walk you through the steps needed to unlock and use Free Roam in Red Dead Online. The Free Roam feature in Red Dead Online lets you explore the world of Red Dead Redemption 2 without limit. As stated above, you’ll need to complete a series of objectives in order to unlock and use Free Roam in Red Dead Online. With Free Roam unlocked, you’ll be able to go wherever you want and fully explore the world of Red Dead Redemption 2. Unlocking Free Roam in Red Dead Online is fairly simple, and can be completed in under an hour by running through the steps listed below in order. Create a Red Dead Online character. When you’re happy with your character, confirm, then load into the game. Once in the game, you’ll be prompted to follow a Stranger named Horley. Horley will lead you around for a while before you’re asked to create a Starting Wardrobe. In addition to your Starting Wardrobe, you’ll need to choose a Camp location. After that, head to the Blackwater Post Office and speak with Tall Trees. Kill the Outlaws, then search the Treasure Chest. Finally, meet up with Cripps at your designated Camp location. While time-consuming, it shouldn’t be too challenging to finish the intro to Red Dead Online and unlock Free Roam. 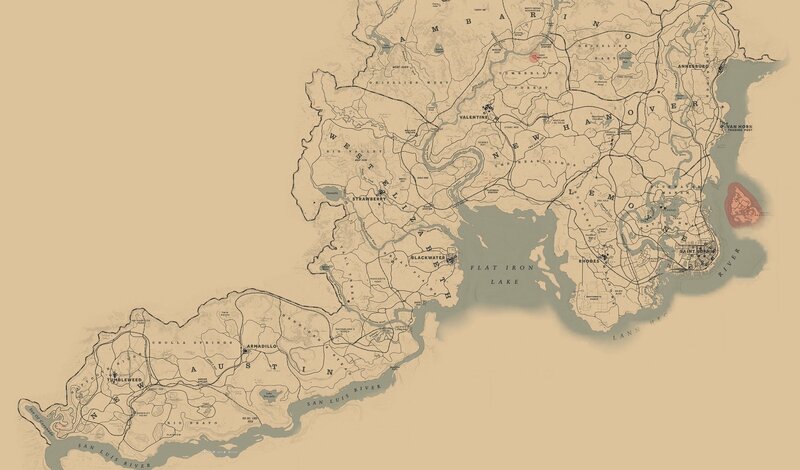 To use Free Roam, simply open the Map and choose an area to explore. Free Roam lets you go pretty much anywhere without limit, making it a great way to absorb the gorgeous world of Red Dead Redemption 2. Have you tried Red Dead Online out yet? If so, what do you think? Let us know down in the comments below! For more on Red Dead Online, be sure to check out our previous guide where we explain what error code 0x20010006 is and how to fix it in Red Dead Online. By reading through this guide, you should now know how to unlock and use Free Roam in Red Dead Online.